In general, Elgin did not manufacture clocks. But as is often the case, the whole story of Elgin and clocks has more to it. The Elgin company was never heavily into clocks. It did produce some clocks for automobiles and for military applications. Most of these are actually 16 size grades, pocketwatch designs, with a lesser quality finish. There are some rare exceptions, such as this one. If you have a clock marked Elgin, particularly something like a wall clock, keep in mind that Elgin went completely out of business in 1968. The Elgin name has been used ever since by a variety of companies, many of which made clocks. 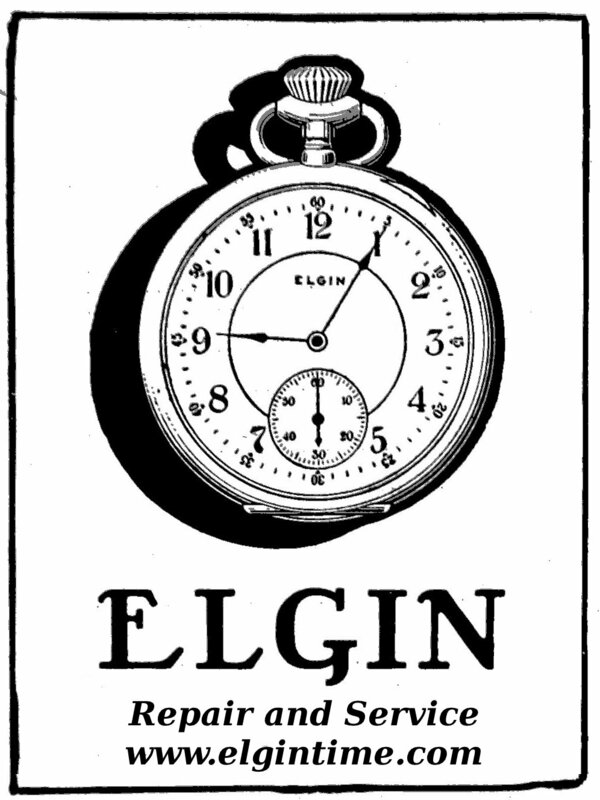 The Elgin brand appears on clocks to this day, a testament to the reputation of the Elgin watch company. However these product have no connection to the original business.